Google+ Events, Google’s alternative to services like Evite or Facebook’s Events, was announced at this week’s Google I/O conference. And it immediately went viral…but not in good way. You see, Google made a slight miscalculation in terms of the Events’ privacy settings. (Insert joke about Facebook envy.) 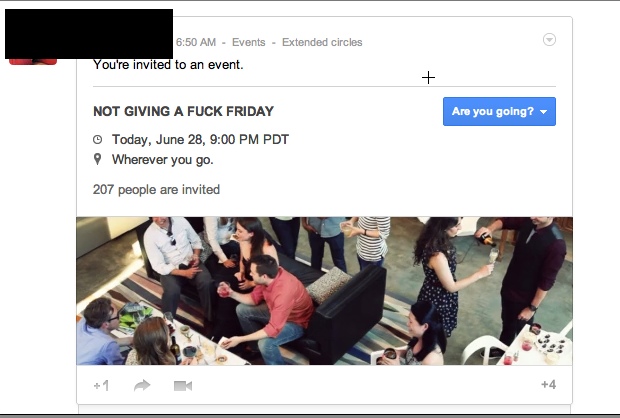 By default, other people have been able to “invite” you to events, and these automatically showed up on your Calendar – even if you had not yet confirmed that you would be attending. The result? Some users were getting invited to dozens upon dozens of unwanted events from people they barely knew. In the case of more popular users, they were inundated with hundreds of requests from their wide audience of online friends. The good news is there’s a fix for this in the works, and another which you can implement right now. However, in the case of Events, Google went just a bit too far with its integrations. 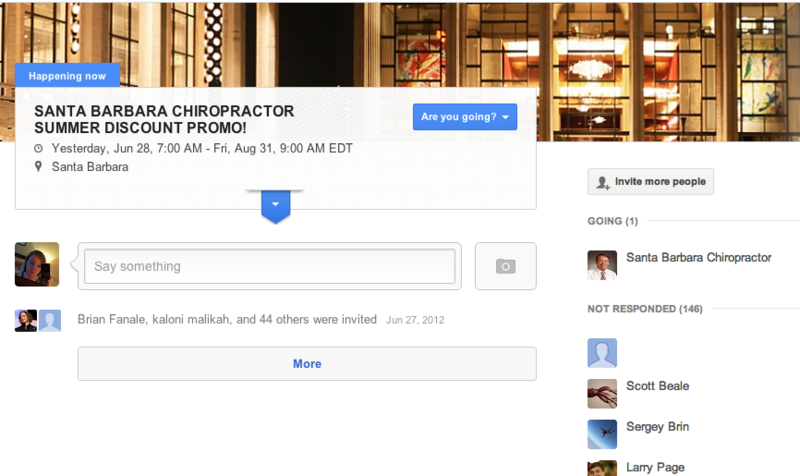 Immediately, people began adding others to Google+ Events right and left. Yes, some of it was just to experiment with the service, sometimes it was a joke, other times it was for “marketing purposes.” But yikes, the notifications really started to add up. Google just allowed people to spam each other’s calendars! News flash to Google: our calendars are our own and we should be the ones in control of it. We are doing exactly what you requested. We should have contemplated and anticipated how people would abuse this and how painful this could be for celebrities with large followings. We have pushed a number of fixes yesterday (some were bug fixes that showed up at scale). Expect more fixes today. Sorry for the trouble Will. In the meantime, you can take matters into your own hands. Head into your Calendar settings, and turn “Show event’s you’ve declined” to “No,” then switch the “Automatically add invitations to my calendar” setting from “Yes” to “No, only show events to which I’ve responded.” That will stop the influx until the changes Google is promising roll out to everyone.